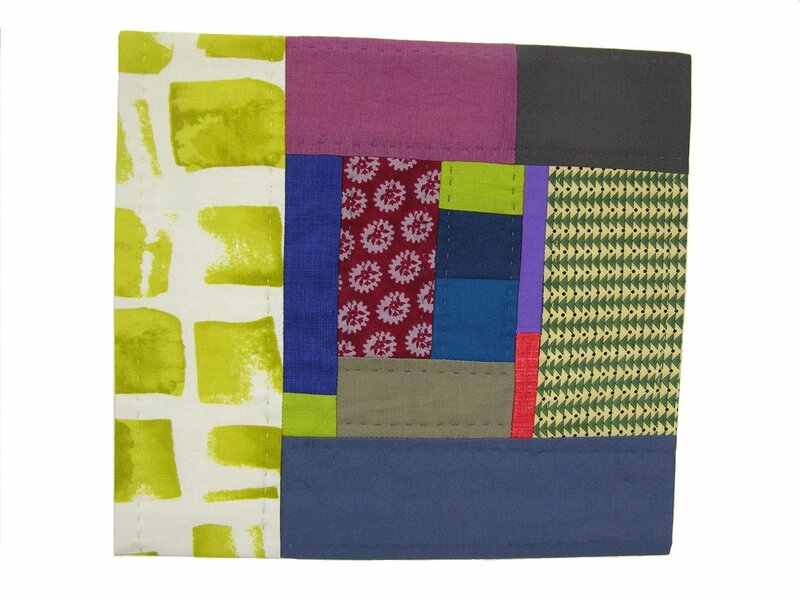 My quilts are improvised expressions of color and rhythm. 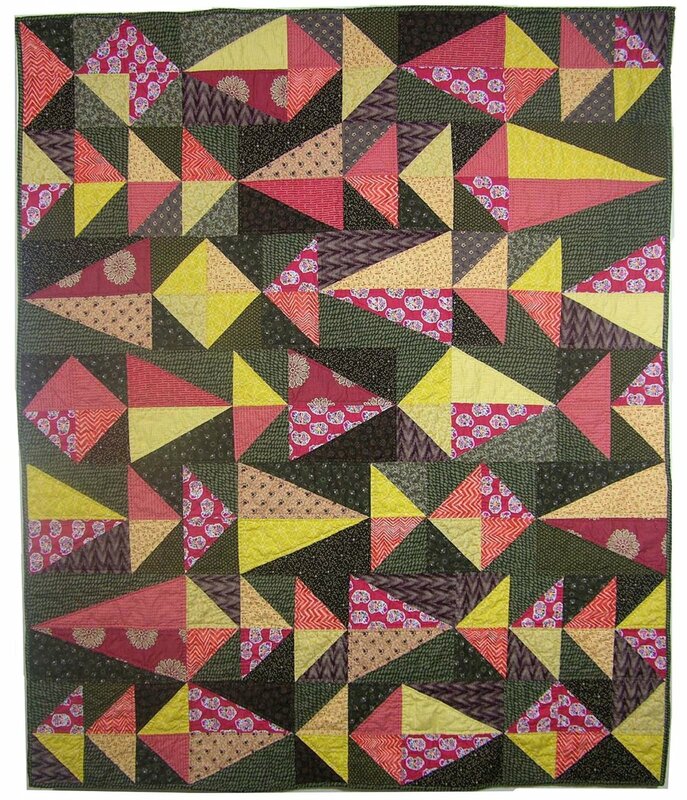 Discordant colors buzzing alongside each other, a shearing line angling through an otherwise tranquil block: I love the energy that comes from moments of tension in the quilts. My job is to foster these electric moments while maintaining an overall balance to the work. 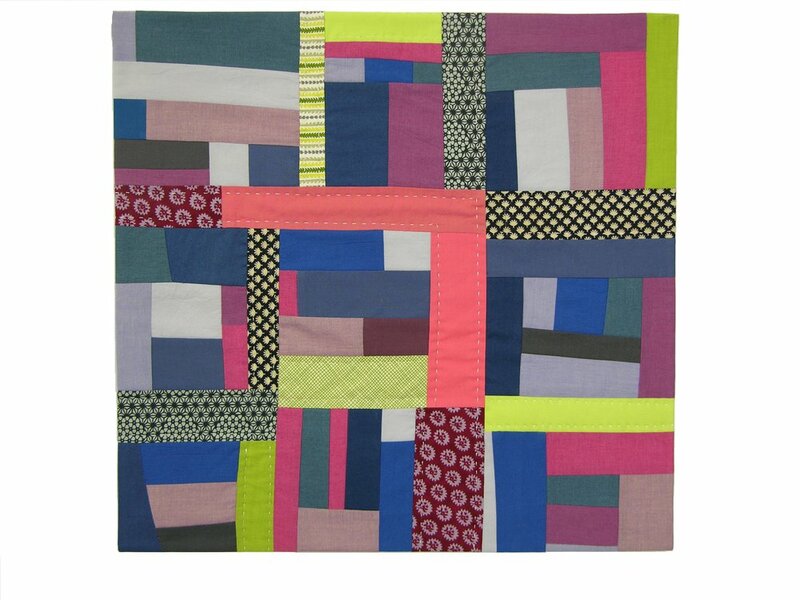 I do the final quilting by hand, a meditative going-over of the entire piece. 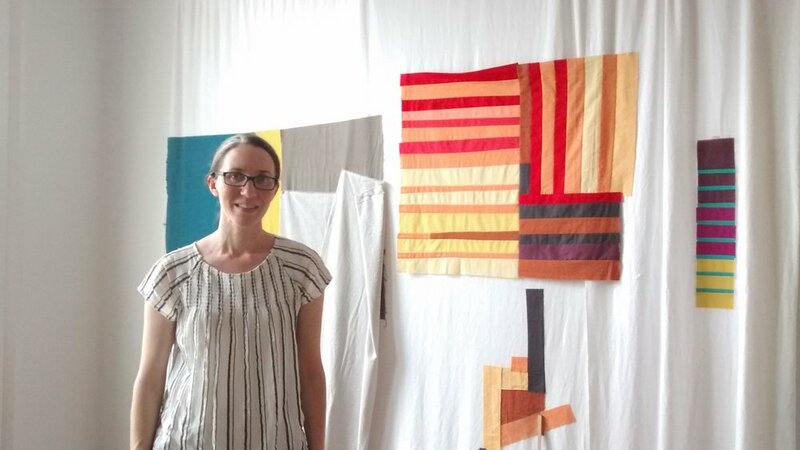 I can’t help but consider this “bringing the quilt to life,” and it is vital to my process and how I approach my work.